As golfers we spend so much time on the technical aspects of the golf game, that we often neglect the simple basic skills that will really help us improve. I know when I go to the practice range my head is full of all the latest instructions I heard at my last lesson or watched in the latest how-to video. I know, cognitively, what it is I need to do to improve my swing. But I just can’t quite get it all together. I’ve been told by my instructors, by my friends and golf partners. “You swing too fast.” “You’re coming up over the top of the ball.” “You picked up your head.” “Your body isn’t turning enough.” etc. etc. We’ve all heard the chorus of good advice! And I really want to improve but don’t have a heck of a lot of time to practice. Because that is what it really takes. You have to put in the time if you want to really improve your game. But what do you do if you don’t have the time? Life is just too full of other priorities and obligations. I would love to spend at least a couple hours a day at the practice range or on the putting green, but that’s just not realistic. And I think most recreational golfers are in the same position. At this year’s PGA Merchandise Show in Orlando, I had a chance to sit down and talk with two of the best golf instructors in the country: Pia Nilsson and Lynn Marriott. They are the co-founders of VISION54/Coaching for the Future, Inc. Their golf school, GOLF54, received the #1 ranking in Golf Magazine’s “Top 25 Golf Schools in the U.S.” Annika Sorenstam is one among the many top golf players they have coached. Consistently at the top of the list of Top Golf Instructors in America, they really know what they are talking about. In this first half of a two-part podcast/interview I asked them: What’s your best advice for the recreational golfer who wants to improve but doesn’t have a lot of time to practice? 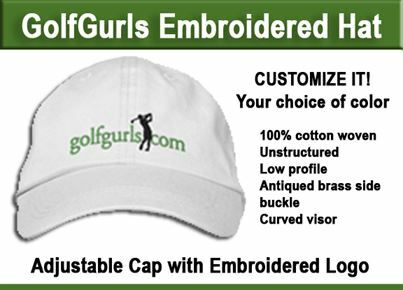 Bottom line advice: If you are a recreational golfer and your practice time at the golf range is limited there are a number of things you can do to improve. One of the most important is determining your next shot and commiting to it. When you step into what Pia refers to as “the play box” your thinking about the shot is over. The “play box” is sacred and no one, not even those doubting voices in your head can step in to change your mind. In terms of the physical elements, there are three things you can do to improve your game. It’s all a matter of getting in touch with the physical feeling when you play—becoming aware of balance, swing tempo, and tension awareness. Focusing on these three essential elements and staying “in the moment” when you are in “the play box,” will impact your golf and help lower your scores. Pia and Lynn have co-authored two books that explain their effective teaching methods: Every Shot Must Have A Purpose, and The Game Before the Game: The Perfect 30-Minute Practice. Their third book: Play Your Best Golf Now is due for release at the end of April 2011. All three are available online at amazon.com. 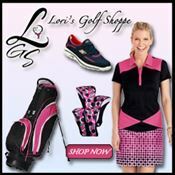 ← Golf Shopping: Latest Golf Shoes, Shirts and Skorts!!! Great advice from two great teachers. I have to learn how to slow down and concentrate when I play. It is really easy to get distracted and listen to those little voices in my head that keep changing my mind.